Gina, Audrey and Sam are a close-knit family of three. Walking into their home, you’re greeted by the sweet smell of incense and a cozy sectional with colourful pillows covering virtually every inch. For nearly 65 years, Calgary Foundation has been a leader in building powerful connections between donors and community organizations. Buying a home can seem overwhelming to moderate-income Calgarians. There are many barriers to consider and many questions that come up along the way. Like can I afford it? How do I qualify? Will it be a good investment for my family? Does renting give me greater flexibility? How do you find young families to get the information out about Habitat for Humanity? You need to go where young families are and do what young families do! This was the thought process behind the Habitat Lego Build. I sent out a Facebook message asking for Lego and shortly thereafter I received a response from Eliza, who turns out is a kindergarten teacher at the Livingstone School in Lundbreck. She mentioned that they had some Lego and asked how they could help. The opportunity sounded like a good fit so we worked out a plan, ran it past the school principal, set a date, and away we went. We didn't ask anybody to say thank-you for this video, we just put together existing footage of all the times this year we’ve been caught on camera saying it. We said it often, but we just can’t say it enough! We’ve all heard of Habitat for Humanity. (I mean, if you hadn’t, you wouldn’t be reading this, would you?). Here at Habitat, we know that there are lots of different ideas swirling around out there about how our home ownership program works and who it’s for. On October 19th, we celebrated the completion of a four-plex in Bowness that will provide affordable home ownership opportunities to four Calgary families. We were joined by sponsors, donors, community partners and volunteers who have helped to make the project possible, along with the new Habitat homeowners. "Today is a moment of celebration of our community coming together to help one another. You can see by the amount of people that are gathered here that the construction of these homes is no small feat." Kristen, Anthony and their two boys, Dominic and Marcus, have lived in their Habitat home for two years now. They are finally settled. They enjoy and truly appreciate living in a safe, family-oriented community. The room erupted with applause when CREB® Charitable Foundation president, Alyssa Campos announced a one million dollar partnership with Habitat for Humanity Southern Alberta at the CREB® Charitable Foundation’s annual general meeting. We’re all about families here at Habitat, so thank you to everyone at Carey Management for adopting us into your family for another year as a beneficiary of the Larry Carey Charity Golf Tournament. Hockey Helps the Homeless had been a huge supporter of Habitat for several years, so I had let them know that I’d be happy to help on the day of the event in any way that might be needed. With the upcoming school year fast approaching, many families are starting to think about buying school supplies and registering for extra-curricular activities. For other families without a permanent residence, other things come to mind. Anyone who has ever owned a pet knows that our furry (or in some cases, not so furry) companions are an integral part of the family. Having a pet has both emotional and physiological benefits. The emotional bond that we form with our pets reduces stress and improves overall happiness. We were counting down the days to Women Build, presented by Excel Homes, all year and it didn’t disappoint! Your continued support has woven Women Build into the Habitat fabric, and made it something we can’t imagine going without. "Owning a home means putting down roots and having a space to truly call yours. This is a place where you can plan the future of your kids"
On April 20, 2018, Habitat hosted a Home Dedication to celebrate completion of a multi-family development in Pineridge - future home to 24 families who purchased their new homes through our affordable home ownership mortgage program. Our current build projects in Bowness and Pineridge are providing home ownership for dozens of families in our community. This would not be possible without the support of our donors and volunteers. Because of you, these families can now build long-term strength, stability and independence. Women Build is one of our favourite times of the year. It's amazing to see what happens when groups of inspired women come together and make a difference in their community. Over the years, we've had lots of great questions come in from participants - from what to bring, to what's for lunch, to what kind of construction work is available - so we've rounded up the most frequently asked questions to help you know exactly what to expect! Brandy is a single mother of Tyson (12) and Taya (7), living in Olds and working as a financial services representative at a major financial institution. “#EveryKid should have a home because it’s where they can go to feel safe and where they belong. If they have a rough day at school, they can come home and know that this is where they can be no matter what." There's something bitter-sweet about the year coming to an end. On the bitter side, there’s the weather (obviously), but on the sweet side, there’s the chance to look back and reflect on some pretty remarkable moments over the year. Philanthropy in Action: Thank you to the Larry Carey Charity Golf Classic! For 25 years the Larry Carey Charity Golf Classic has been raising money for local charities. This year they raised $35,000 in support of Habitat for Humanity! Hosted by Carey Management and in honour of the late Larry Carey, founder of Wallace and Carey, this annual golf tournament brings together members of the Calgary community for a fun day of golf, food and drinks, all in the name of raising money for charity! Think 130 golfers, over 60 dedicated volunteers, and (despite our record hot summer every other day), a freezing cold rainy morning topped with nostalgia and enthusiasm for a great cause. This year for their 26th annual event they went above and beyond their fundraising goal of $25 000 (they raised $35 000) and had a great time doing it! Each hole had a unique 70’s theme (think Rocky Horror Picture Show, and Disco) and tons of food and prizes. "It's difficult to put into words the feeling of pride we take away from this experience. We understand the importance of family and community and this will be our inspiration on our 2017 ride." Sponsored by Star Building Materials, "Ride through The Rockies" challenges cyclists to complete a four day, 410-kilometre journey through the Rocky Mountains. Together they raise money for Habitat for Humanity to help local families build strength, stability and independence through affordable home ownership. "Great leaders don't set out to be a leader ... they set out to make a difference. It's never about the role-always about the goal". Sponsored by Star Building Materials, "Ride Through The Rockies" challenges cyclists to complete a four day, 410-kilometre journey through the Rocky Mountains. Together they raise money for Habitat for Humanity to help local families build stability and independence through affordable homeownership. Yan Shedrick (second from the right in the picture above) will be participating in his third consecutive ride this September. He speaks about how he got involved with RTTR and how his childhood passion for cycling made him a perfect fit. Have you ever thought about how your business is contributing to the community that supports you? It’s easy, it’s fun, and it will surprise you what kind of difference you can make. "What started as a way to simply challenge myself physically has developed into something far more powerful for me on many levels". Sponsored by Star Building Material, "Ride Through The Rockies" challenges cyclists to complete a four day, 410-kilometre journey through the Rocky Mountains. Together they raise money for Habitat for Humanity to help local families build stability and independence through affordable home ownership. Joel Souchotte will be participating in his third consecutive ride this September. Here's what he had to say about the annual fundraiser, his experience as a participant, and the impact it has. "What an amazing day! Such a great opportunity to bond with the other women at work outside of the office setting! Thank you for letting us be part of this". Between May 4th and May 27th, more than 200 local women came together for seven build days. Along with fundraising and building Habitat homes in the neighbourhood of Pineridge, participants engaged with their coworkers and friends in a meaningful way, building lasting impact in the community. “I don't think there are many bosses who were so well loved that their organization would do something like this years after their retirement." Nigel Teucher , a volunteer Crew Leader, passed away earlier this spring. To honour and remember his commitment to Habitat for Humanity, his former employer, Chinook Financial alongside his wife Sue Teucher , organized build days on June 8th, 20th, and 29th dedicated as “Nigel Builds.” Nigel was the General Manager/CEO of this local credit union from the mid-1990s to 2010 when he retired. Sue began volunteering with Habitat in 2007 and Nigel in 2012. Together they have amassed nearly 2,000 combined volunteer hours assisting at the Calgary ReStore, working with local Habitat chapters, and helping on the construction of 13 Habitat homes in southern Alberta. We posted a volunteer spotlight on the pair last year. We spoke with Sue about her and Nigel’s time volunteering with Habitat and why “Nigel Builds” was significant to her. "I build because it is the epitome of a community coming together for one purpose and serving a greater cause." Life is full of dreams and desires waiting to be fulfilled, as well as many hardships to overcome. Some people enjoy going through these processes, and all the ups and downs, whereas others can only find joy when the trials are over! I can identify with all ends of the spectrum, but through my own journey, I’ve come to realize that contentment comes with being at peace and recognizing that each day is a gift. Opportunities are endless. I’m a big proponent of never giving up hope and of stepping out and trying something new - you never know what’s waiting on the other side! As a fellow homebuilder, Excel Homes has a unique perspective on what this means for families in Calgary, and they've made a significant investment Women Build as our Building Futures Title Sponsor. "#IBuildBecause stable housing is one of our basic needs without which we cannot meet our other needs." Alanna Maria, 2017 women build fundraiser. ReStore is a great place to find thousands of items under one roof at 40-60% below regular retail price. You can find new and gently used furniture, appliances, cabinets, flooring, paint, building supplies and much more. #IBuildBecause I want to give back to my community and have a chance to work alongside crew leaders, volunteers and homeowners to make a difference for families. Right now, more than 4,000 people are on the waitlist for social housing in Calgary. Our city is expensive, and women and children are the populations most likely to be affected by unstable living conditions. Grace, along with five other local women, has taken on the role of Women Build Ambassador, to mobilize the community to address the need for affordable housing through Habitat for Humanity's Women Build. Cassie, along with five other local women, has taken on the role of Women Build Ambassador, to mobilize the community to address the need for affordable housing through Habitat for Humanity's Women Build. It's finally here. You've fundraised like a pro and now you're ready to get out and build! If you've never participated in Women Build or been on a Habitat for Humanity site before, chances are you're wondering a few things. How do I get there? What do I wear? Will they feed me? Keep reading to find out exactly how to prepare for your Women Build day. Fundraising can seem a little bit daunting at first, but all it takes is a little persistence and creativity, and we’ve got your back. Meet Peggy Bell – one of the longest-standing volunteers at the Habitat for Humanity. She has started volunteering with us more than ten years ago, and since then she has contributed to many build projects in Calgary and around the world. Pineridge is one of the biggest projects we’re working on right now. This development will consist of six four-plexes providing stable housing for 24 families in the community of Pineridgewill. Jeffrey has been volunteering with ReStore since February of 2015! This development is a new project that is located in the northeast Calgary community of Pineridge. The project will consist of six four‐plexes. Currently we have finished two four-plexes, and another two are being under construction. Pineridge development is a new project that is located in the northeast Calgary community of Pineridgewill. The project will consist of six four‐plexes. Currently we have finished two four-plexes, and another two are being under construction. As 2016 draws to a close, we reflect on what our community’s support has accomplished for families this year at Habitat for Humanity. This year we completed 18 homes and began construction on 19 new homes in Southern Alberta. This means 63 children are enjoying this holiday season in a home they can call their own. We’re facing an urgent affordable housing crisis. Right now, 1 in 5 Canadian families is spending more than half their income on housing costs alone. This leaves them living paycheque to paycheque, working multiple jobs to make ends meet, and sometimes, making the unthinkable choice between paying rent or putting healthy meals on the table for their children. Pineridge is a large neighbourhood in NE Calgary that’s near to Rundle and Marlborough. The Pineridge Place development will consist of six fourplexes built over several years. One fourplex is complete and two more are currently under construction. Thank you, AREF and CREB! Over the past year, the Alberta Real Estate Foundation (AREF) and the CREB Charitable Foundation (CREB) have supported Habitat for Humanity Southern Alberta with $50,000 in build funding. On top of that, 47 of their members have participated in 3 Build Days at the 24 home development in Pineridge, Calgary. The Calgary Home + Design Show needs your help. If you're willing to volunteer as a greeter or a ticket-taker then we can get you into the show for free. Parking and transit will be reimbursed and, even better, there will be food provided to all volunteers. My wife and I are very proud parents of four beautiful children. Over the years I worked hard, I even worked two jobs to provide financial stability and a better future to my children. Still, it is challenging for me to use only one income to provide for the whole family. More than fifty percent of my income goes to rent and utilities, even though we have tried to live in many different communities. Seven years ago I became a single mother of two and returned to the workforce feeling unequipped and unprepared. My dream of owning a home felt unreachable and homeownership was no longer one of my goals in life. As my children's primary caregiver, simply generating an income to support my family with the basic necessities and being present to shape and influence their lives was my top priority! While we feel blessed to have all our current needs met, there is sacrifice and struggle to make ends meet each month. My name is Sherin and my husband is Arshad. We are a family of six all together; we have two girls and two boys. We have seen a lot while we lived in Kurdistan Iraq, the house my family owned was destroyed by the horrible war that started in 1991. We ended up homeless, so my dad said we needed to get out ASAP. We fled to Canada while Arshad left for Sweden. Azeb immigrated to Canada after spending seven years in a Kenyan refugee camp. Her brother lived in Calgary and she was grateful for the opportunity to be reunited, but life in a new city became steadily more difficult for Azeb as a single mother looking to establish a stable foundation for her daughter, Sipran. Women Build is a huge fundraiser and it takes a the entire city to make it a reality. The organizations below contributed in different ways - some cooked food, some donated money, some fundraised like crazy - but they all had to come together for the event to work. This is our final shoutout to everyone and every company who made Women Build such a great success! Building homes costs money. A single home will cost us around $250,000, once you've included the cost of land, permits, materials and skilled labour. Fortunately, we have community partners who support our builds and lower our costs by donating their building materials to us. If we had to pick one word to describe Women Build YYC, that would be it. Calgary's women fundraisers smashed through their initial fundraising goal of $50,000 in less that two weeks and their final total was more than double that: $124,469. They showed us all that every woman has the power to change the world. When you're building a house, every little detail matters. Small holes can let in wind and rain, going unnoticed at first but potentially causing huge issues in ten or twenty years. These issues can include strange odours, higher heating bills, damaged foundations and more. You love to DIY. We love to see what you create. That's why we're running the DIY Challenge again in July. Bowness site prior to demolition. It’s a challenge for many families in Calgary to find affordable housing, but it’s especially difficult for Kerry and Randy’s family of nine. Over the past five years, the family faced homelessness three times. Confronted with yet another landlord looking to sell and driven to provide a sense of stability for their children and granddaughter, Kerry and Randy reached out to Habitat for Humanity. Peggy Bell is a woman who wears a lot of different hats. Lucky for us, some of them are hardhats. Peggy started as a crew leader in 2005, the year after she officially retired. Since then, she has personally contributed more than 1,000 hours of her time towards building homes in and around Calgary. On the build site, she enjoys doing the notoriously finicky painting and finishing work inside the house, but she definitely isn't afraid to get out into the mud either. I’ve been a Habitat home owner for almost 15 years now. I’m a single mother of twin girls and before Habitat, I was struggling financially to support the three of us – in ten years we moved eleven times and it was very, very difficult. As a future Habitat home owner, this will be my first Women Build experience and I’m most looking forward to all of the people I’m going to meet. I’m on my own journey and I’ve always wanted to be part of this world of empowerment, so to have it right front of me is unbelievable. I can’t even imagine what I’m about to go into, but I’m excited about it. Last year was my first time at Women Build and I helped build a home all day long! It was honestly one of the most rewarding experiences of my entire life. To know that I was helping a family significantly is priceless – that feeling is priceless. I’ve been part of Women Build for five years now and my favourite part about it is the solidarity between all of the women that are out on the work site. I love Women Build! It’s the best opportunity to prove to everyone that women can empower each other and help the community. I love experiencing the female comradery and then seeing the final product after a day of work, knowing that what we’ve done is going to serve a family well for their future. I became a Habitat home owner nearly four years ago, and it felt like winning the lottery. It’s been one of the greatest experiences I’ve ever had. Having the security of owning my own home has allowed me to focus on so many other things in life. I don’t have the huge stressor of where my family’s going to live or if we can afford to live there anymore. Homes aren't cheap to build. Even our homes, built in part by volunteers, cost around $250,000 per door once you've added everything up. Thankfully, there are companies in the communities we build in that see the lives they can change and offer us their support. Fluor Canada is one of these companies. My husband and I are the proud parents of four beautiful daughters. Our lives changed dramatically when our last daughter Katie was born. Habitat for Humanity Southern Alberta opened our latest build site to volunteers just after our official groundbreaking ceremony on November 12. If you saw the site then and now you would not believe your eyes. The first fourplex has gone from a hole in the ground to something that looks like a house, with a framed basement, first floor walls and a rough second floor. The second fourplex wasn’t even a hole in the ground during the ceremony, and now it’s ready for to have the first floor walls raised. Nichole believes that where there is a will – there is a way! Her oldest children Robert (15) and Mykalya (14) were born just eleven months apart and Micheal (12) followed three years later. The family fled domestic violence in 2005 and Nichole has raised her children on her own for the past ten years. A warrior is a confident, powerful change-maker. A warrior doesn’t shy away from a challenge. A warrior accepts the challenge and conquers the challenge. Do you have what it takes to be a true warrior? Life is the most amazing book that we write every day and the chapters already in it provide the strength to write the ones to come. Quigley Electric is proud to be a part of the Habitat for Humanity project in High River. Keep Calm and Build On! Generation Y is a generation of doers. It’s a generation that knows the value of making meaning and making a mark. And it’s a generation that has the energy, the passion and the ambition to turn good intentions into tangible results. On Thursday, September 24, 26 cyclists embarked on the first leg of a four day journey through the Rocky Mountains as participants of the second annual Ride Through the Rockies, sponsored by Star Building Materials. The ride began in Cochrane and over the next four days, the cyclists travelled to Canmore, Lake Louise, Kananaskis, and back to Cochrane – a 375 kilometre round-trip journey. Do you enjoy Western music and love to dance? Join the Foothills Chapter of Habitat for Humanity Southern Alberta, along with Glen Brown and the Western Swing Project as we continue to raise funds to complete our first duplex build underway in High River. As of Saturday, August 15, 2015, Habitat for Humanity has been building hope in Southern Alberta for 25 years. It's hard to believe that it's been that long, but we found photographic evidence to prove it! So, take some time and enjoy this journey through the ages, starting with our very first partner family! Habitat for Humanity Southern Alberta is now accepting bids for trades for the first 2 of 6 fourplexes in the northeast community of Pineridge. We are seeking trade partnerships, as well as donations of funds, products, services and labour towards the construction of this project, which will provide affordable homes for 24 hardworking, local families. Retirement means different things to different people. For some, it is a chance to travel the world, seeing spectacular things and meeting fascinating people. For others, it’s a chance to spend more time with their families, try new things or catch up on their ever-expanding reading lists. Dana is a true adventurer. Now that her three boys have grown up she spends her days outside hiking, kayaking and working in the garden. When she isn’t off on some incredible adventure she can be found volunteering with the construction of new Habitat homes in Calgary, High River, or around the world as a Team Leader with Global Village. Ramanpreet and Balbir moved to Calgary eight years ago and have been transitioning from house to house since then. Buying a home of their own was impossible with high housing prices and anything that was within their range was unsuitable for Arvin and Gurshaan, their two young sons. Everyone loves Docia, and it’s not just because she brings baking into the Habitat for Humanity ReStore every Thursday. 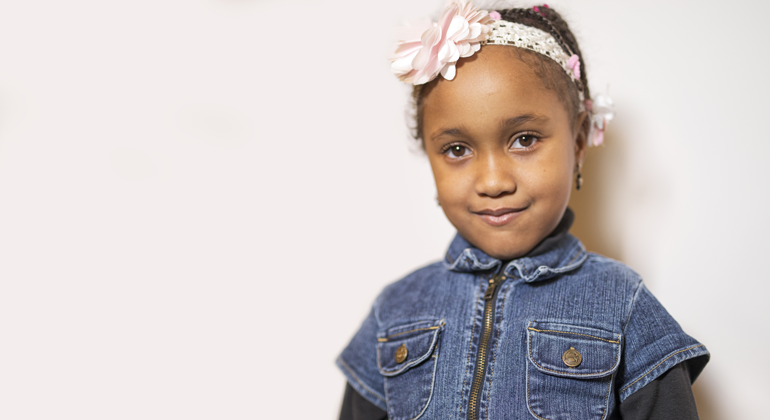 Docia’s energy fills any room she’s in, inspiring smiles, laughter and spontaneous hugging. When she isn’t at the ReStore, she applies her passion for helping others to her church and local political campaigns. Did you know you could shop, save and give back to your community? Look no further than the Medicine Hat ReStore. Craig Gleisner is one of the most faithful and long-standing volunteers at Medicine Hat ReStore. He has selflessly given his time to the store for two days every week over the past three years. Women Build is a unique community fundraiser and volunteer activity designed to address the affordable housing crisis facing thousands of families across Southern Alberta. Nearly all of our Redstone partner families have completed their 500 sweat equity hours and are anxiously awaiting completion of the project. More than 35,000 families in Alberta live month-to-month, making it nearly impossible for them to get ahead. They’re forced to decide between heat and rent – a choice no family should ever have to make, but it’s a choice too many families in Southern Alberta are familiar with.